Premier Location! 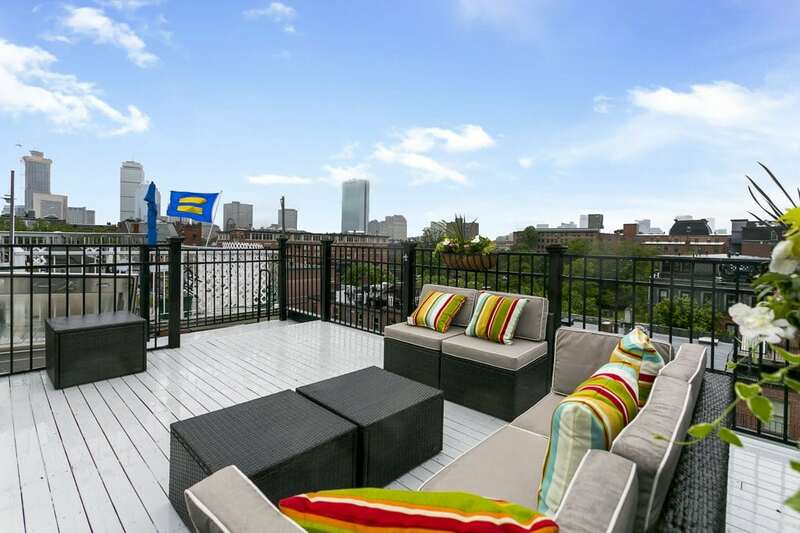 One of the South End’s most sought-after & vibrant neighborhoods! Spectacular Penthouse 2 BR w/ Private Skyline Roofdeck & Full Parking Space! Across from Historic Worcester Square fountain! Southwest Facing w/ Glorious Sunshine! Direct access to huge roofdeck w/ Awe Inspiring City Views! Amazing combination of architecturally distinct details, Towering Ceiling Height, Accent Exposed Brick Walls & Superior finishes throughout! Enormous Open Livingroom w/ a designated Dining area embraced by Bay Windows! Chef’s Dream Kitchen with top of the line stainless steel appliances, abundant designer cabinetry, granite counters & breakfast peninsula for graceful entertaining! Two very generously proportioned airy bedrooms; larger BR w/ custom fitted closet! Carbonized bamboo flooring throughout! Lavish BA has travertine flooring, mosaic accent tiled walls & an air jet soaking tub/shower! Full-size stacked in-unit laundry. An Outstanding Opportunity for the discerning Buyer!